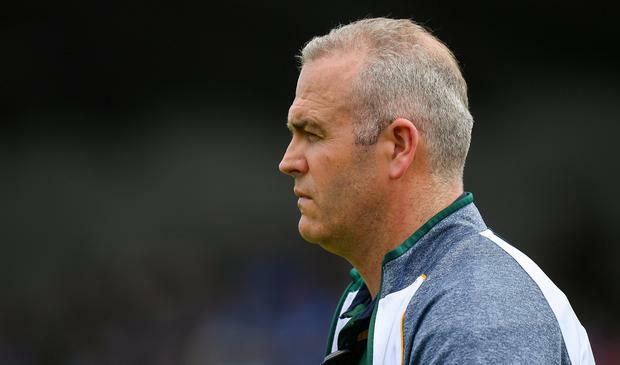 It wasn't just that Offaly had lost their Leinster SHC place that told on Kevin Martin's face when he emerged from the dressing-rooms, writes Conor McKeon. It was the arduousness and, as he saw it, unfairness of it all. No question but that Offaly were given the bum draw this year, fixed to play four matches on the first four weekends of this revamped provincial system. By last weekend's 24-point loss to Wexford, they were exhausted in body and mind. Yesterday in Parnell Park, Offaly were empty. "These guys are amateurs, they're not professionals," Martin, who had greater gripe with the unsympathetic scheduling than the relegation issue, stated. "You take the Leinsters (rugby) of this world, if they have three or four weeks in a row, they'll rotate their squad about three times. They're professional guys that can sit around the next day and get rub-downs and relax. "These guys," he went on, referring back to his own players, "they have to go and do a day's work. Some of them are farmers and electricians and they just don't have the energy levels for that. It's not fair on them really. That goes for every county. It takes its toll on every team and you'll probably see it again with Wexford next weekend. "Kilkenny are after getting the week off to freshen up. I can't see Wexford beating Kilkenny either." That they lost their four matches by an average of almost 13 points suggests Offaly aren't good enough to compete at this level currently. "If we won and Dublin were relegated, I'd still be shouting for Dublin not to be relegated," he stressed. "Dublin, like ourselves, we're the bottom two in the group and we're trying to improve things." For Pat Gilroy, Dublin's win was tinged in bathos. Galway's brutish dismantling of Wexford meant preserving their provincial status was the most the summer could offer. In four years as Dublin football manager, the earliest Gilroy started a summer campaign was June 3. His first with the hurlers will be over by June 9. "It is disappointing at this stage," he admitted, "the three championship performances have been decent but we won't be getting any games beyond this. We were ahead on 71 minutes in two games and then to lose them, we have to learn from that and push on for next year. We have to learn how to finish games and close them out."